Burkett, Burkett & Burkett is a full-service regional accounting and business consulting firm. They provide a comprehensive range of accounting services including litigation support, business valuations, assurance services, fraud examination, and retirement plan administration. 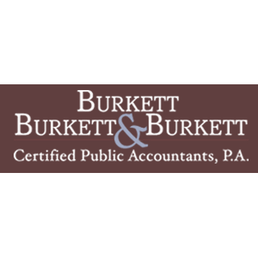 Company Burkett, Burkett & Burkett, CPAs, P.A. Work For Burkett, Burkett & Burkett, CPAs, P.A.? Claim This Page.